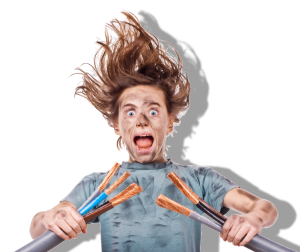 10 Tips – How to avoid getting shocked when working with electricity at home? Who never tried to change a light bulb or fix a small electrical problem and received a shock? Here are a few security tips to avoid this unpleasant misadventure. Some of them are of course obvious, but you never know! 1. Never mix water and electricity. Always keep electrical appliances away from water and moisture. 2. Pay attention to what your appliances are telling you. 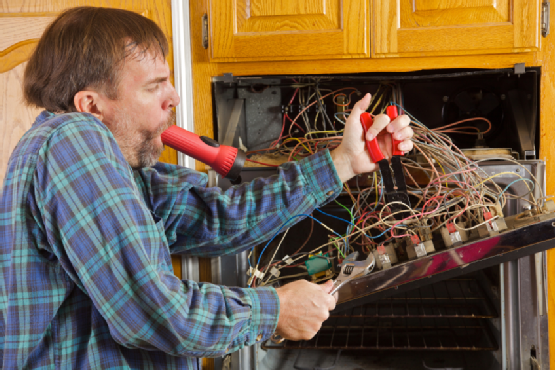 When an appliance repeatedly trips a circuit breaker, blows a fuse, or gives you shocks, it’s not just a coincidence. You need to take preventive measure and be careful about those signs. 3. Install Ground Fault Circuit Interrupters (GFCI). In new construction homes, GFCI receptacles are a requirement anywhere that electrical outlets and water are in close proximity to one another. You should install them at the correct place to prevent severe electrical injuries. 4. Make sure you’re using the right size circuit breakers and fuses. If fuses and circuit breakers aren’t the right size and wattage rating to match the specifications of their circuits, they’re going to fail right when you most need them to perform. Read packages carefully when shopping for replacements. If you’re not sure which size to buy, have an electrician take a look at your panel box and label it with the circuit breaker or fuse size needed (for easy future reference). And as long as you’re making a trip to the hardware store, stock up with a few extra – you’ll be happy to have them on hand when the next need arises. 5. Protect kids with outlet covers. Outlet covers prevent babies and small children from sticking their fingers and other objects into unoccupied receptacles, protecting them against shock and electrocution. You can either use the plug-in type, or opt for special child safety wall plates, which feature built-in, retractable covers that automatically snap back into place when outlets aren’t in use. 6. Avoid cube taps and other outlet-stretching devices. Cubes taps – those little boxes that allow you to plug several appliances into a single outlet – may seem like a major convenience, but they can actually put you on the fast track to circuit overload, overheated wiring, and even fire. If you absolutely must use one, do the math before plugging in. Know the maximum power demand that the cube-tapped receptacle can handle, and be certain that the collective pull (power requirement) of the devices you’re plugging into it doesn’t exceed that rating. 7. Replace missing or broken wall plates. They’re not just there for the looks – wall plates also protect your fingers from making contact with the electrical wiring behind them. Broken wall plates, or the absence of them altogether, can be especially dangerous in the dark – when trying to locate a switch by touch, you may end up being shocked or electrocuted if you miss the mark and end up hitting live wires instead. 8. Keep electrically powered yard-care tools dry. Whether it’s raining, just finished raining, or you’ve recently run the sprinklers, never attempt yard work with electrically powered tools in wet conditions. Protect yourself from shock and electrocution by keeping your electric hedge trimmer, weed whacker, and lawnmower safely unplugged and stowed away until precipitation has stopped, grass and foliage is dry, and puddles can be easily avoided. 9. Match the light bulb’s wattage rating to the lamp. Whenever choosing light bulbs to use with a lamp, be sure to consult that lamp’s maximum wattage specifications (they’re often printed right around the light bulb socket). Always opt for a light bulb with wattage that’s equal to or less than the maximum wattage listed on the lamp – too strong a bulb can lead to overloaded lamp wiring, as well as fire. 10. Be kind to you cords. Take care to treat power cords gently – never nail or tightly tack them down, and regularly check to make sure that they’re not pinched between or underneath furniture. 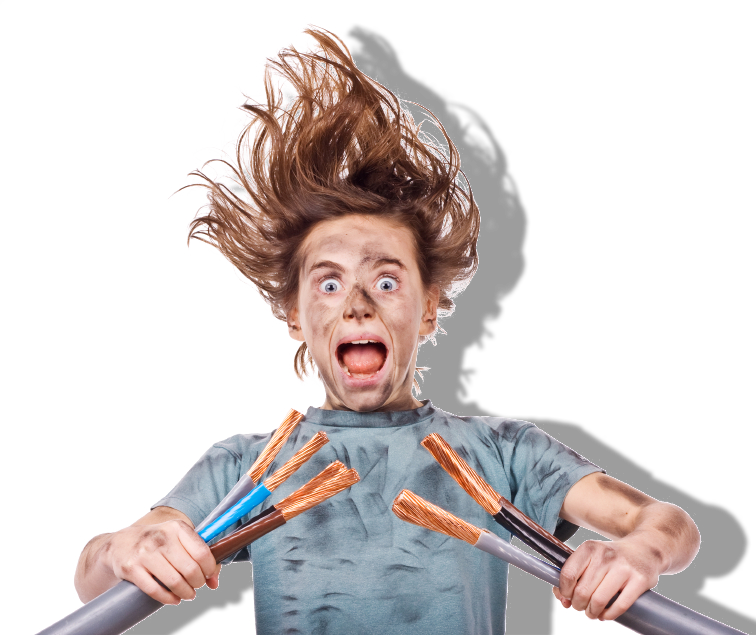 Excessive pressure on power cables can damage insulation (exposing the conductor), or compress the conducting wire, which can lead to overheating and put you at risk for an electrical fire. Don't Hesitate to contact ClickDeal and let our professionals do the job, it's always safer! And much easier!